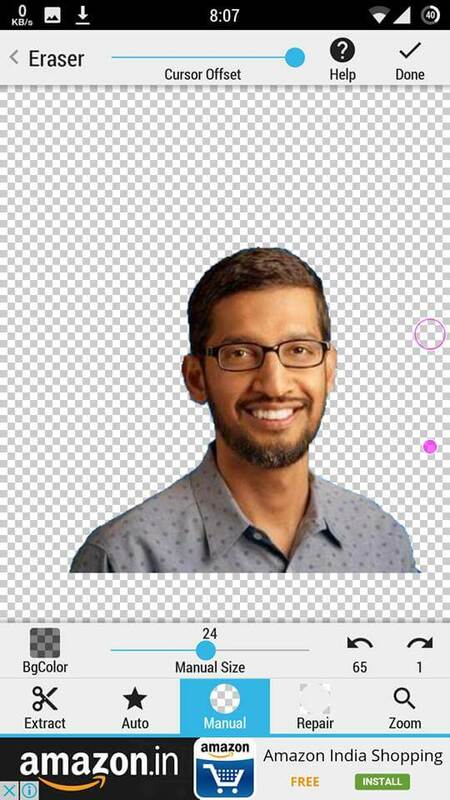 Hey Guys, If you are looking for a Way To remove Background from Images, and Make it Transparent, Then you can simply do it with the help of Some Free Android apps, which are mentioned below. If you Love to Edit Images in Android and You want to change background image in Android, then at first you have to make Image transparent. 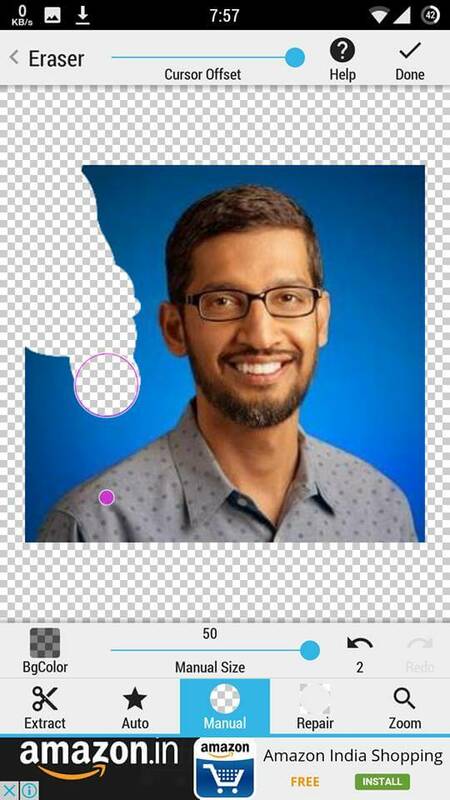 For Making Images Transparent in Android, You can use these Background Eraser apps, Which will surely help you to remove background in Images, and Make them Transparent. 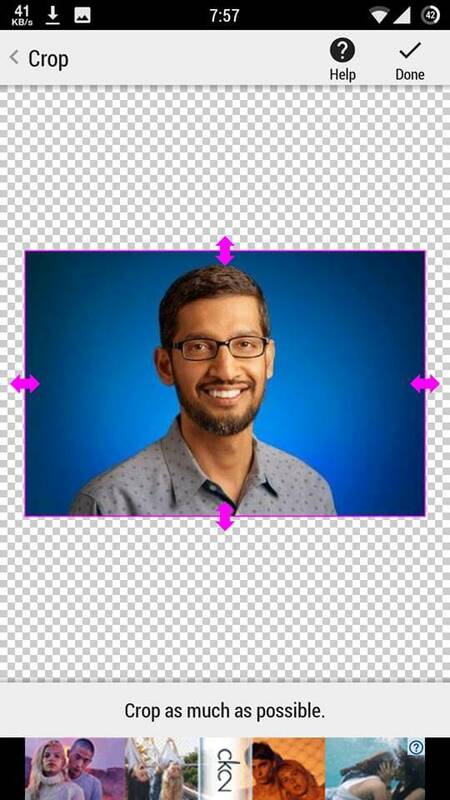 These Image Background Removal Tools are very good tools, Which you can easily use for removing background from Images, in your Android Tablets or Smartphones. After Remove background from images, and make them transparent you can use Images for several purposes like Use it as Stamp, Change Image Background, Use Image as sticker etc and much more great Things can be done after removing background from Images. 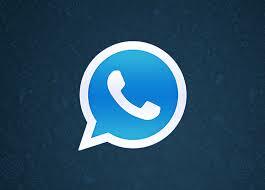 Previously, We was shared Images for Share in Whatsapp Groups, Do check that out. 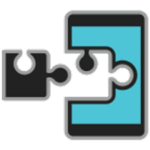 We Have Posted 2 Apps, With different Methods for Remove Background from Images in Easiest way ever. We have also posted step by step guide with screenshots, which you can check now from below, Which will give you more easier way, for removing background from images and make it transparent and use it for various purposes. 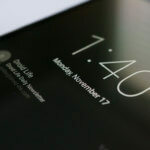 Also have a look at How to Download Images from Instagram. So Checkout remove background from image android app now from below, With step by step Easy Tutorial. 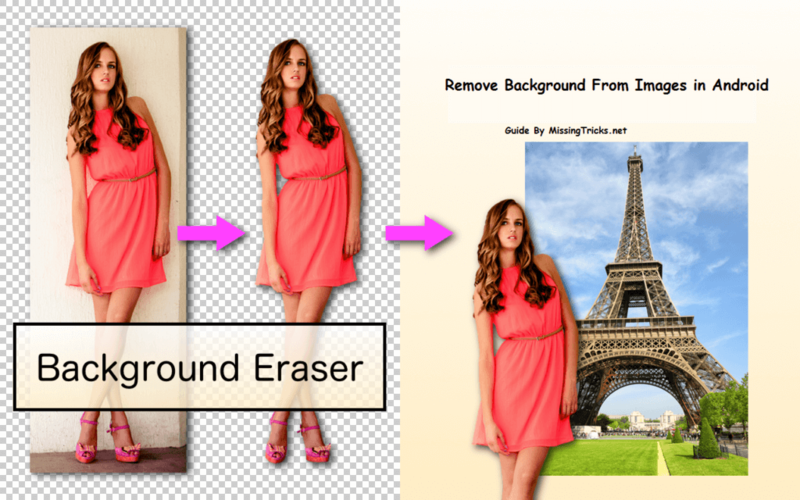 With the help of this Background Eraser app, Now you can remove background from almost any images easily. This app Is having lots of great features. And I Love this app, for make Images transparent, because this is very handy app, and best app ever for android for remove background from images easily in just few clicks. In PC, we use Adobe Photoshop for remove background in Images, Which is the best tool ever, But in Android devices, this Background Eraser app is the best, Have a Look at Step by Step Guide About this app now from below, About How to Remove Backgrounds from any Images Easily. 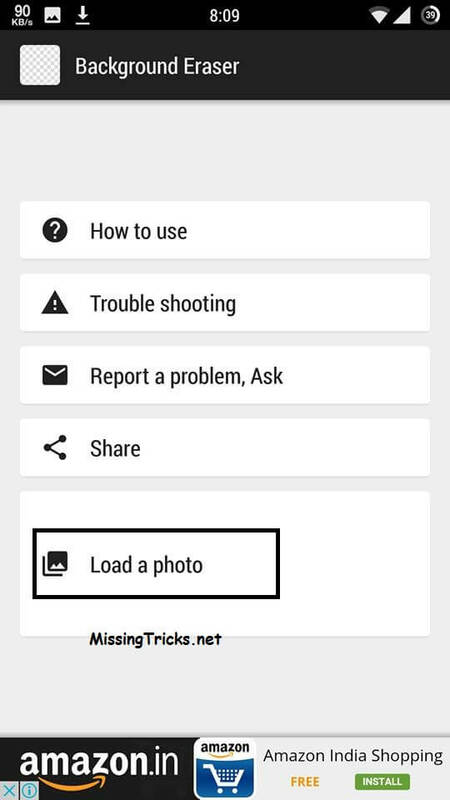 Now, After Install Above app In your Phone, Now Open it and Click on Load a Photo Option. Now Choose the Image of your Choice From The Gallery and it will load the image in the app. 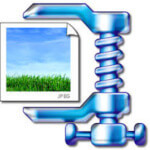 Now Crop The Image, as More as You can Near your Object, that Which Part of Image you Want to Make Transparent, and It will Crop the Image, and then click on Done Button From Top Right Corner. Now, A New tool Will Open, and Adjust It's Size according to your choice, and Select The part of The Image which is background, and you want to make Transparent. After Cutting the Image, While Cut in Edges Like Ear, Hairs etc You can Pinch in / out for Zoom in or Zoom out from this picture, and click on Done Button from top Right Corner once you successfully done. Ps – I am Not a Good Image Editor, I Just Removed Background from above Image in Hurry So Image is not perfect ! 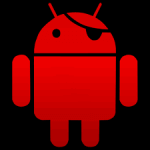 This is the another great App, For removing background from images With android in easy way. 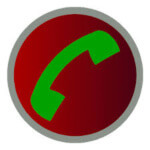 If you have any issues while following this Guide, From above app then you can use this app. This app offers much more functionality. 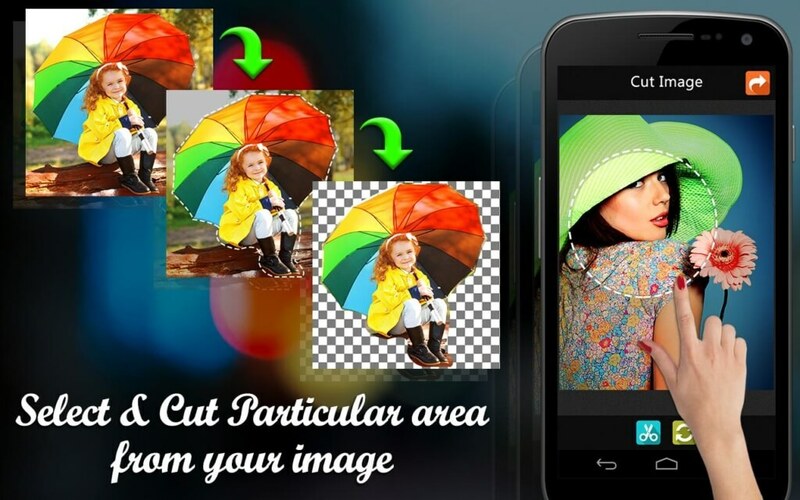 This app can Smartly Remove Background from Images easily in Just few clicks. This app comes with lots of features, like magic tool, which is the fastest way ever for cut images for remove backgrounds in it. So checkout some of the features of this app now from below, and download this app now in your android Phone or tablet. Magic Tool ( Similar as Adobe Photostop in PC ) for cut image more easily. Adjust Brush Size According to your choice. 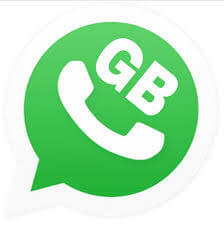 and much more features are there in this app, simply download this app now from below link, and use it in your device. 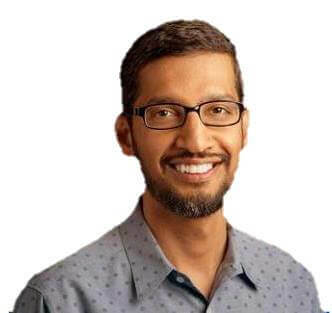 So This was the way, For Remove Background from Images in android with the help of simple apps. For more questions regarding this blog, you can simply comment below I will try to help you. Thanks for visiting and keep visiting missingtricks for more cool stuffs like this. hi arsh, how are you, this is a great post about remove-background-images, I have more benefited from this post, thanks for your effective and informative article.